Powered by BuildingReports’ digital reporting and unique bar code technology, General Fire & Safety can provide accurate and comprehensive inspections that are fully documented in compliance with regulatory standards. General Fire & Safety makes it easy for you to stay in compliance. Just login, review your report, approve repairs, and have an audit trail of your inspections for up to 5 years. No more paper, no more worries. Unmatched accessibility puts your inspection reports at your fingertips to satisfy AHJs, Insurance Providers, and other facility management. 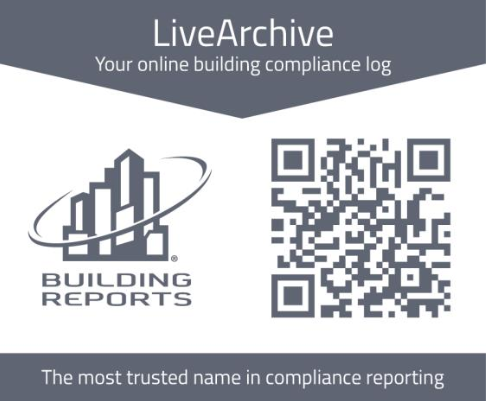 BuildingReports uses LiveArchive software to provide instant access to building inspection reports through the scan of a QR code (sample to the left) using your mobile device. Simply scan the code we provide, enter the login, select the type of report you want to view, and you will be able to review the most current inspection report of that type.